WOOO! That a was close one. The Pats pulled out the 38-31 victory in Chicago yesterday, but that was only after the Bears put up a great fight and almost came through with a miracle play at the very last possible moment. The game ended up being a lot more high-scoring than I anticipated, but it was almost just as close. While they were able to contain most of the Bears’ weapons throughout much of the day, Mitchell Trubisky did post over 400 yards of total offense by himself – looking like Michael freakin’ Vick in his prime at times – and the defense allowed a lot of yards over the middle of the field. Overall, though, it was a good performance against a still very underrated team. Here are a few postgame tidbits for you to wash down with your Wheaties on this fine Monday morning. Say It Ain’t So, Sony! After a string of very impressive performances for the rookie, I cautioned everyone to temper expectations heading into Sunday’s contest against the Bears’ top-10-rated run defense. Michel made me look foolish by ripping off 18 yards on his first carry of the day (although he did only have four yards on three carries after that) before going down with what looked like a gruesome leg injury early in the second quarter. As of early Monday morning, we still don’t know the severity of the injury, but it definitely did not look good, especially for a guy with his injury history. More to come on this story, which should be expected after he undergoes an MRI at some point today. There’s speculation it could be an MCL sprain, but thankfully NOT a tear. We probably won’t know much more until the Pats are forced to release injury updates later on in the week. For now, Pats Nation will hold its collective breath. The Pats offensive line has been phenomenal all season long, and they continued their excellent performance in the Windy City on Sunday. 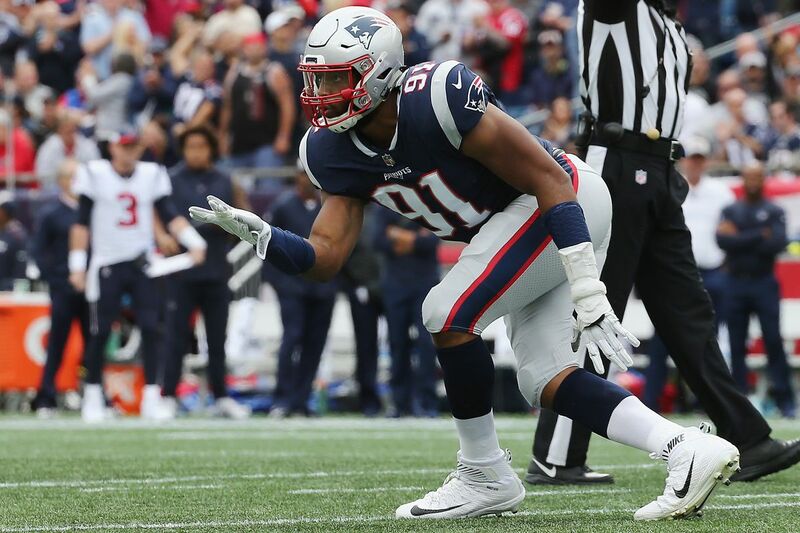 Although Khalil Mack was playing at less than 100 percent, they still only allowed just one sack on the day (which, by the way, Pro Football Focus blamed on a broken screen play as opposed to any particular lineman’s error [h/t NESN.com]). 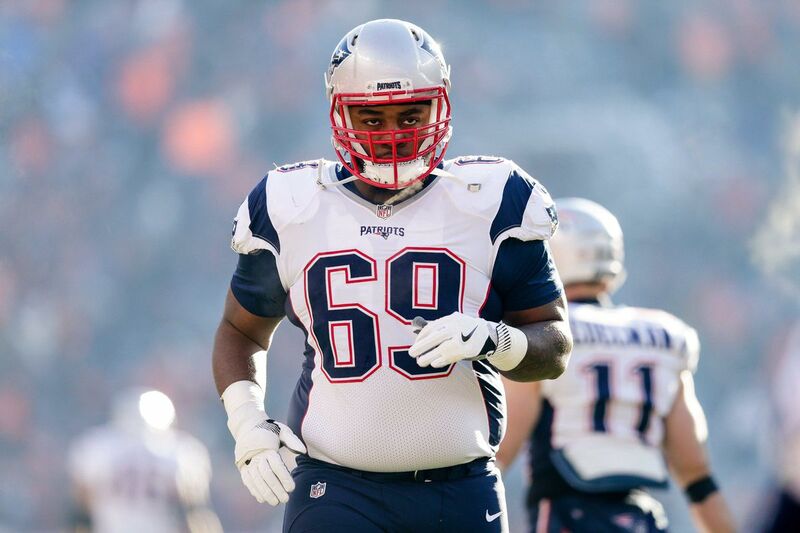 Shaq Mason, especially, has been playing at an elite level, and he’s certainly proving that he’s worthy of that $50 million extension he signed this offseason. If the line can play this well against one of the league’s premier defensive units, that bodes well for the durability of our elder statesman at quarterback. Big round of applause to the entire offensive line. Just a helluva job all around. The big fella’s been one of the game’s elite so far in 2018. OK. OK. So maybe my article from a few weeks ago was a tiny bit Chicken Little-ish. While I’m certainly not going to go so far as to say the Pats have a “great” pass-rush, by any means, it’s definitely not “bad.” The team finished with two sacks in total, but were also credited with 13 hurries and three other QB hits. Adrian Clayborn finally got in on the action with his first takedown of the year, and Kyle Van Noy – while perhaps a bit lacking in terms of coverage yesterday – was able to pin his ears and get in Trubisky’s face with five pressures on the day. The team probably could have had more sacks were it not for Trubisky’s surprising elusiveness (he ran for 81 yards on the day, including this absolutely ridiculous touchdown run). Overall, I’m happy with what I’ve seen from the defensive front past two weeks. Deatrich Wise continued his strong season yesterday with yet another QB takedown. Cordarrelle Patterson may not be making as much of an impact in the receiving game as many hoped he would, but his impressive 95-yard kickoff return for a score yesterday showed just how impactful he can be in other areas of the game. That vicious jump cut he made just before breaking loose literally made me go “WOOOO,” and he then continued to look like a barreling freight train the rest of the way to pay dirt. That play was the sixth kickoff return TD of his career, tied for third all time and just two behind all-time leaders Josh Cribbs and Leon Washington. Preseason standout J.C. Jackson saw by far his most action of the season so far, playing on 38 percent of the team’s snaps. He rewarded the team for their confidence in him with a diving interception, and we could soon be seeing a lot more of out of the rookie cornerback from Maryland. Kudos, kid! Next up is what should be an absolute cupcake of a matchup against the Buffalo Bills (sorry, Papa Giorgio) next Monday night in Foxborough. Be sure to check in on Thursday for the game preview! This entry was posted in NFL, Patriots and tagged Bears, Chicago Bears, Mitchell Trubisky, New England, New England Patriots, NFL, NFL Week 7, NFL Week 7 Analysis, NFL Week 7 Recap, Patriots, Patriots Bears Game Analysis, Patriots Bears Game Review, Patriots Bears Postgame, Patriots Bears Week 7, Shaq Mason, Sony Michel. Bookmark the permalink.